I asked Dave Fulghum, our Senior Military Editor at Aviation Week, if he'd seen the F-22 from the Langley air show and pointed him to the post where I put it up. Dave left some great comments on that post, and I'm moving them over here to their own post. This demonstration is interesting, particularly the low-speed, low-altitude 360 degree somersault, but it was nowhere near as exciting as the Russian displays I saw at the Moscow air show a few years ago. The reverse sweep Su-47 Berkat, was literally doing somersault after somersault at low speed and low altitude. (That's where the Russian air defense engineers told us they had the pieces of the F-117 that was shot down in Serbia.) I know the F-22 can do some incredible maneuvering, but most of their work is done at altitude and involves quick vertical and horizontal changes in direction (see Aviation Week & Space Technology Jan.8, 2007 special report on J-turns, high-alpha turns and the Cobra with the F-22). They're not doing that at the air shows -- so far, anyway. In the operational squadrons there is a lot of emphasis on doing what the aircraft is supposed to do operationally and not on developing an air show routine. Also, you won't see what the F-22 is capable of as long as it's at low altitude. However, I suspect the envelope will expand as time goes on. But in the U.S., there are a lot of safety rules to be observed. So, interesting, but not stunning, yet. Ok, that sent me to YouTube to find the right Sukhoi footage. 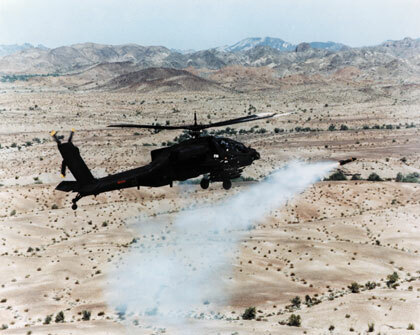 Lockheed Martin has been awarded a Eurocopter contract to outfit the Tiger attack helicopter with Hellfire II precision-strike missiles and the all-digital M299 smart missile launcher. 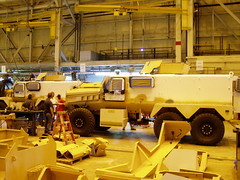 Ground tests of the system are scheduled for October with flight tests to follow in March 2008. Terms of the contract haven't been disclosed, but the Orlando Sentinel reports Lockheed Martin expects the contract will lead to substantial production work worth hundreds of millions of dollars. The missile has three warhead variants: the high-explosive anti-tank shaped charge; the blast fragmentation warhead for bunkers and multi-room buildings in urban areas; and finally, the metal augmented charge for defeating fighters in enclosed spaces like caves, ships and bunkers. At this point there are more questions than answers about how and why burglars broke into a Lockheed Martin facility in Orlando, Fla., and made off with a highly sensitive Apache helicopter weapons control system before dumping it in the bushes nearby. The fact that they dumped it in the bushes suggests they didn't know its value and didn't have nefarious plans. But, it was the only thing they stole. Why? According to the police, some people were spotted stealing T.V.s from a nearby freight company the same night so maybe they thought they were stealing some state-of-the-art T.V. and then dumped it when they couldn't turn it on? 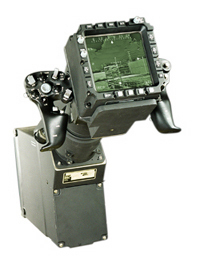 The TADS Electronic Display and Control system is a 5-inch by 5-inch screen and with a joystick controller used to aim and target weaponry. 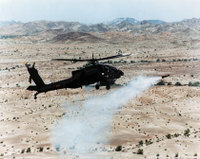 Lockheed Martin has a contract with the Army to retrofit every Apache helicopter with a TEDAC system. What happened with the RNLAF program in Florida with the company AeroGroup. I heard that the Dutch Government really screwed that company and just used them so that they could get leverage with the US to give them a base of thier own. Why should the US continue to allow the Dutch to operate here in the CONUS when they give the "Dutch Treat" and screw the US Tax payer. In response to Mike's query, Joris talked to the RNLAF to hear their view. According to the RNLAF, it only ever contracted for a one-time project with AeroGroup Inc., connected with a training deployment by the Dutch F-16s at Melbourne, Florida, in 2003. The deployment was part of a protracted effort by the Dutch to find a suitable training location outside of their own densely-populated country with plenty of airspace, training ranges and possibilities to perform extensive night flying. The effort started when the RNLAF decided to abandon its permanent overseas training location at Goose Bay, Labrador, for a variety of reasons. + How do you make a missile do Mach 5? 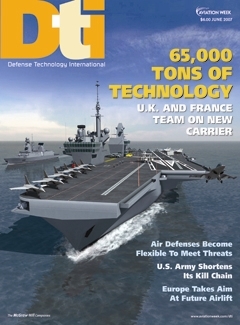 The #2 spot in my series on the best war techs is a tie between blast-proof trucks and small aerial drones: two life-saving technologies that, despite their proven capabilities, have been neglected by a Pentagon bureaucracy that prefers to grow its own super-expensive programs than to invest in existing systems that the troops know, love and want more of. 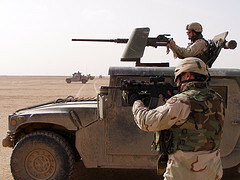 low-tech, vehicle-mountable firepower and historic value. And you can't deny 1.27-centimeter-thick lead fingers eating up your cover. It doesn’t need batteries and every idiot can fire and clean it -- albeit not that precisely, but that makes it even more dangerous! In 14 years it will be 100 years old. And the thing that would be replacing it, the Objective Individual Combat Weapon -- with the complicated high-tech airburst stuff -- I haven’t heard of for a while. Scrapped? The Mitsubishi 3000GT sports car was sold in the US as the Dodge Stealth, but now the company has moved up to the real thing. 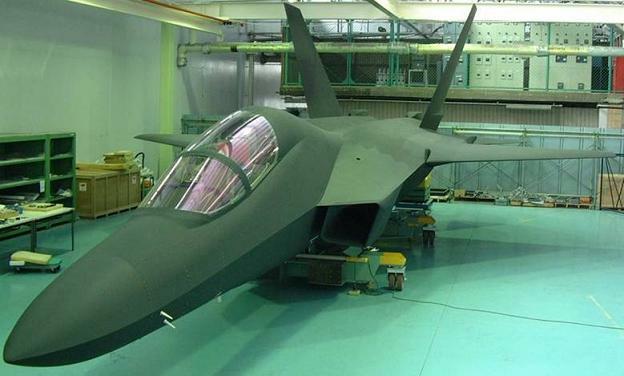 Japan's Technical Research & Development Institute (TRDI) recently unveiled images of the Mitsubishi ATD-X stealth fighter in the form of a full-scale radar cross-section (RCS) model. One picture was released a few months ago by TRDI, but has now disappeared from their site. Other images can be found here. They include a presentation slide confirming that France has been supporting the Japanese stealth program: between September and November 2005, the model was tested in the French government's radar cross-section (RCS) range. Other features of the twin-engine jet include thrust vectoring with external paddles, an F-22-like external shape, fly-by-light controls and the testing of a smart-skin sensor. NATO may soon start another operation in support of the African Union. 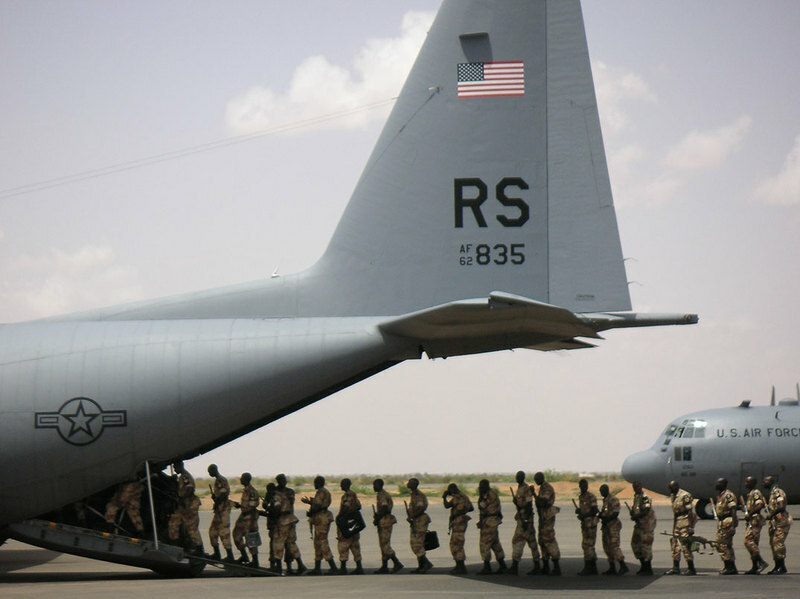 The Alliance is already providing logistic support (primarily airlift) to the AU’s peacekeeping operation in Darfur, Sudan. Now, the AU has asked NATO to do the same for its peacekeeping mission in Somalia. Ares can disclose that advanced manned Long Range Strike demonstrator aircraft, featuring a combination of blended wing shapes and other exotic features to provide high agility and using jamming and low-altitude flight for survival, have been under test in significant numbers. In an unusual security precaution, the aircraft carry non-US markings.